Sewer Backup: Are you Prepared? Damage from a backed up sewer can be devastating! These incidents result in a hazardous mess, vast cleanup costs, and significant damage to personal belongings. Although some instances of sewage backup can be prevented by the homeowner, some backups are caused by off site problems that cannot be traced. While surveying the damage to your once-loved furniture, appliances, flooring, and keepsakes, you can’t help but experience anxiety about who will pay to fix this repugnant disaster! Unfortunately, sewer backups are often a problem that become the expense of the homeowner, even when it isn’t their fault! Most government services providing utilities, such as sewer, are automatically exempt or immune to any liability for damages. Even if the problem could be traced back to the sewage company or the main sewer line, it is unlikely that the sewer authority will be held responsible for the damage to the home. Granted, it depends on the municipality in which you reside; not all states and municipalities give liability waivers to such government entities. In our local PA communities, government entities such as utility providers, mail delivery vehicles, and snow plow trucks, are legally immune to damages they might incidentally cause while in the course of operations. So although the backup might not be your fault, it may still be your bill! Perhaps your lateral line is the root of the problem? You hate to admit it, but you haven’t had your sewer lateral checked since you purchased the home. 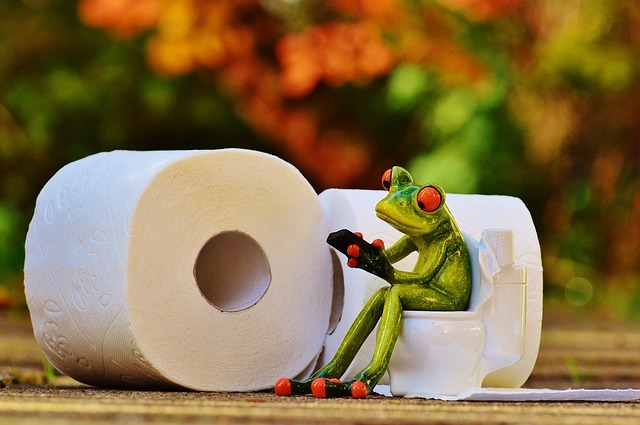 It is relatively common for sewer laterals (the line running from the sewer main to your home) to experience clogs caused by tree roots, flushed items, or even some chunky sewage! The lateral line is your responsibility when it comes to maintenance – cracks or clogs are generally not the responsibility of the government entity providing your utility service. Replacing a lateral line is very costly, but thanks to modern technology, contractors can inspect the line using small cameras without digging it up! If they discover the lateral line is the source of trouble, it can then be replaced or repaired if necessary. In summary, if it is your fault or not, you are probably going to be responsible for this repair bill! Due to the sudden nature of these incidents and the high cost for sewer line repairs, this may be an appropriate claim to process under your homeowners policy. This coverage is not typically included in a homeowners policy, so it is best to ask your agent whether you have it or not. Many homeowners policies offer an a la carte coverage that can be purchased to provide some sewer backup but beware, a few policies will completely exclude it. If you don’t already have it, you can add the coverage and sleep with the peace of mind that you are prepared for this gross and pricey scenario! For more information on sewer backups, who to blame, how to get coverage, and preventative measures, refer to the Cincinnati Insurance Blog “It Happens: Sewer Backup” by Christopher Barger (Nov 2015).